The Chicago Bulls officially released point guard Rajon Rondo on Friday after what was a rocky season in Chicago. 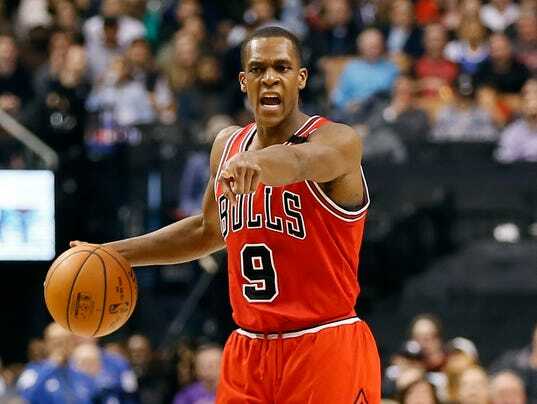 In his lone year with the Bulls, Rondo moved in and out of the rotation under coach Fred Hoiberg, sometimes garnering significant playing time and an integral role in the offense, and other times he was relegated to the bench. He was fantastic in the first two games of the postseason when the Bulls went up 2-0 on the No. 1 seed Boston Celtics only to suffer a fractured thumb along with a wrist injury that effectively ended the Bulls’ chances of an upset. The Bulls had said that they wanted to bring Rondo back before trading Jimmy Butler on draft night to the Timberwolves in return for Zach LaVine and Kris Dunn. Only $3 million of Rondo’s $13.4 million team option was guaranteed. The Bulls will turn to Dunn and midseason acquisition Cameron Payne as their primary point guards.